Domestic Shipping Shipping is via a national freight trucking company. Shipping category is "standard delivery" which is defined as basic ground transport. Any additional or special services; i.e. guaranteed delivery date, Saturday delivery, lift gate (not recommended), inside delivery, etc. can be arranged for an additional charge. Customer is responsible for removing the crate(s) and the contents from the truck. If this is not acceptable, please contact VocalBooth to obtain a special services quote. VocalBooth.com, Inc is not liable for freight damage. If crate is opened and repacked by customer or agent of customer while sound room is in transit the customer will be responsible for all freight damage claims. Any damage due to shipping must be immediately reported to the freight delivery person and recorded on delivery receipt. Customers may be liable for unreported damage. Replacement parts are sent standard ground freight. VocalBooth cannot guarantee delivery dates and times. Shipping internationally varies by country and region. VocalBooth ships via ocean freight unless otherwise instructed by the customer. Destinations and ports may require the customer to collect their shipment at the point of entry and handle ground transportation to their specific location. Customs clearance and all fees, taxes and related documentation is the responsibility of the customer. VocalBooth will prepare shipping related documents such as the bill of lading, shipper's letter of instruction, packing list and commercial invoice. When required, VocalBooth.com will prepare NAFTA documents and certificates of origin. All VocalBooth.com shipments are insured unless otherwise indicated. Any damage due to shipping must be immediately reported to the freight delivery person and recorded on delivery receipt. Customers may be liable for unreported damage. VocalBooth.com will provide shipping quotes based on the information provided by the customer. Rates and requirements are subject to change without notice. We cannot guarantee delivery dates and times. VocalBooth.com, Inc is not liable for freight damage. 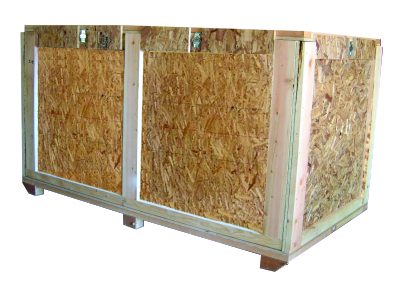 If crate is opened and repacked by customer or agent of customer while sound room is in transit the customer will be responsible for all freight damage claims. Any damage due to shipping must be immediately reported to the freight delivery person and recorded on delivery receipt. Customers may be liable for unreported damage. Replacement parts are sent standard ground freight. VocalBooth cannot guarantee delivery dates and times. Feel free to contact us with any additional questions.